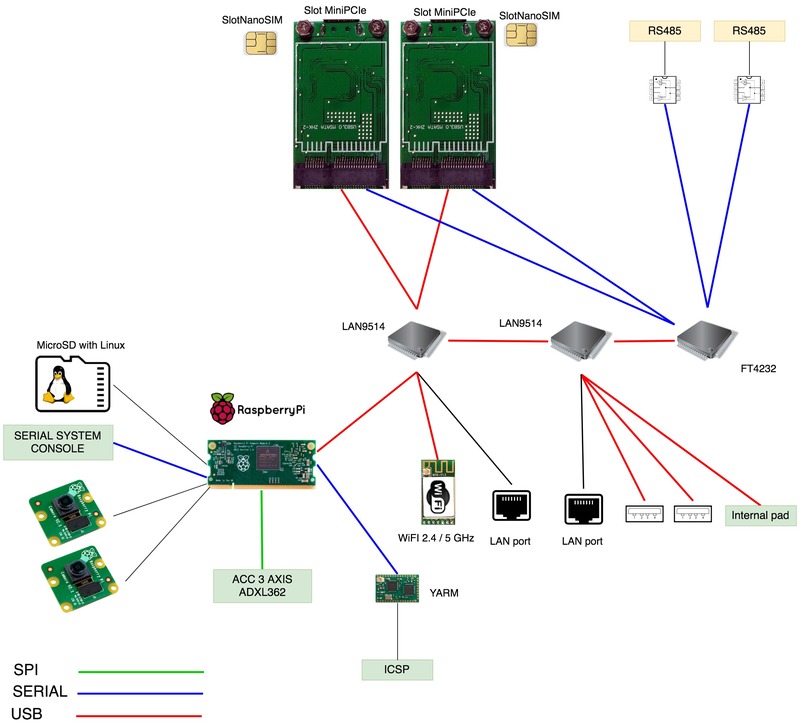 This is a preview of the new CM3-M2M application board for Raspberry Compute Module 3. 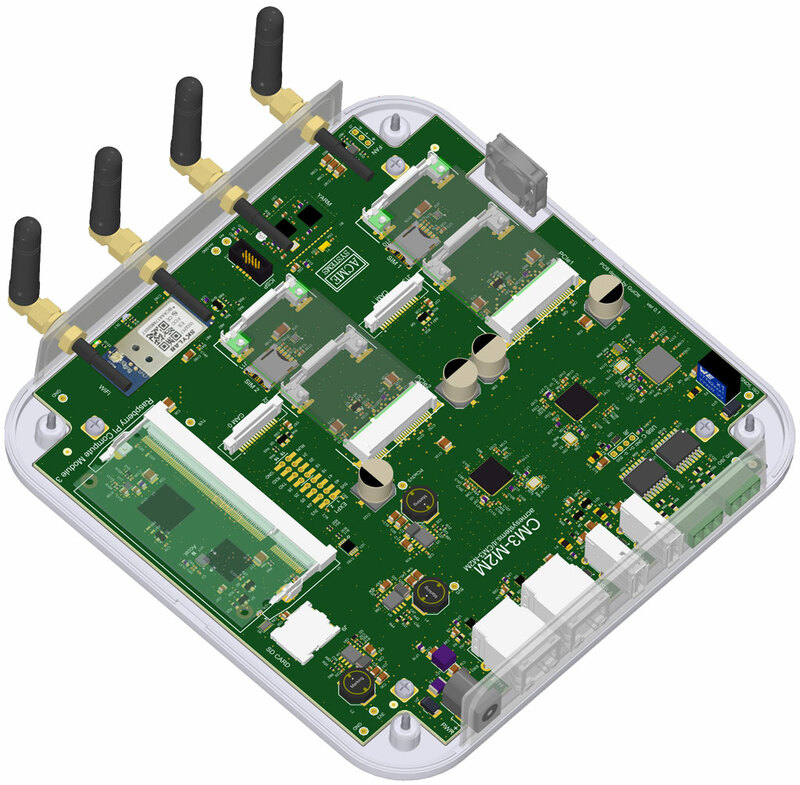 The main purpose of this board is for M2M and Gateway applications. With its rich set of communication interfaces the CM3-M2M board can be used in a wide range of applications where is requested a versatile integration between LAN and WAN technologies.